Friyay! And YIKES. It has been a long time since I wrote! I’ve struggled with the blog thing because my life is so busy right now, and to be honest, I’m never sure who’s following along. Then someone will randomly tell me they love reading my posts, and it is so nice and gives me the pick-me-up I need. I don’t get paid or have any partnerships for MAXOUThappy, so when I have extra time or inspiration I write more, and when I don’t…I just don’t. I’d rather it be real than forced. And that’s life sometimes. Between teaching, working a second job, my best friend’s wedding, mine and Andrew’s wedding, baseball season, three dogs, and trying to keep some semblance of eating well and being active, I have been covered up lately! All this to say thank you for not giving up on me if you are reading this. We had spring break for school last week, and it flew by (as usual!). I had lofty plans of working on the blog, doing photo shoots, working out every day, etc. but a lot of that did not happen. Some big things that I DID accomplish, though: Spring cleaning of the apartment, lots of laundry, my taxes, cleaning out my closet and room and donating a million bags to Goodwill, getting our rentals and rehearsal food booked for the wedding, and most importantly, getting in some QT with my fiancé and celebrating his birthday! I also somehow managed to make some online purchases – but these are items that I have been researching and really considering for weeks now. Bulk impulse buys are worse than bulk thought-out and deeply considered buys, right?! SOMEBODY BACK ME UP. I have been having a hard time getting my 30 year old skin under control. 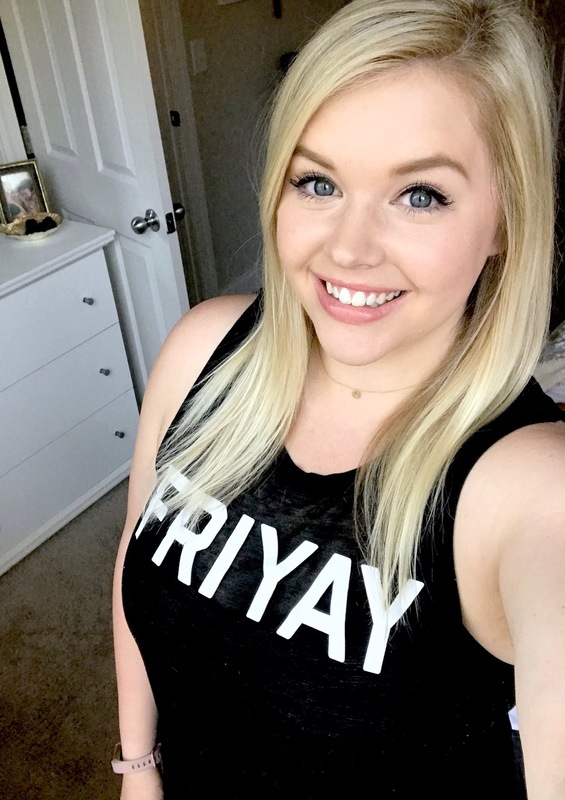 I have always suffered from breakouts, but something has shifted now that I’m older and I’m having hormonal skin issues as well as workout-related breakouts. I bought a fancy charcoal mask that had amazing reviews at the start of the new year and it WREAKED HAVOC on my face. I have been seeing the Tula skincare line everywhere and have heard only wonderful things, but I have a hard time putting serious cash down on stuff that I’m not sure will work, especially on my finicky and super sensitive skin. After much deliberation, I bought the discovery kit so I can try some of these out without breaking the bank and see how they work for me! I’ll report back. Has anyone else tried it and loved it? 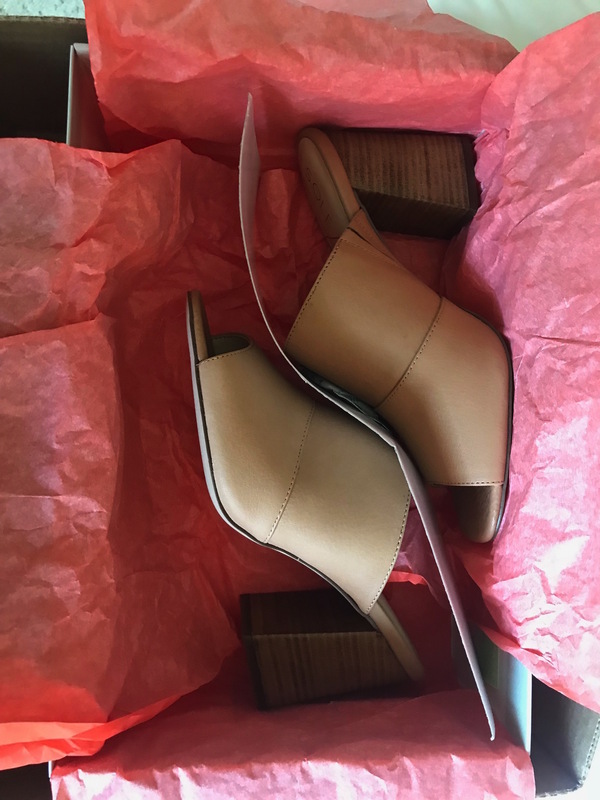 I got these camel colored mules for spring and summer, and if they’re as comfortable as they look I will probably continue to wear them into fall! I am always ballin’ on a budget, but in the last few years I’ve tried to incorporate one or two things each season that are high quality staple items for my closet that will last for years. I can’t afford to do that with everything I buy, but these shoes seem so worth it. I got them last night and I know I’ll be killin’ them in the classroom this spring on repeat. Let those teenagers try to say something. Comfort + style can’t be beat. Plus you can get 15% off by entering your email address (just unsubscribe later if the emails bother you!). i mean they’re just lovely. I think I’m super behind to the Everlane party, but I wanted to put it out there in case anyone else is behind like me! They partner with ethical factories around the world and use high quality fabrics for a fair price. I need to wait a minute on the online purchases, but I’m looking at this nice plain u-neck tee and these high-rise white jeans for spring & summer. I’m dying to try this lipstick because it has been so raved about by fancy bloggers I follow. I am considering trying the shade Pillow Talk to see if it’s a good one for the wedding! I joined a new gym this week to try to vamp up my motivation for my fitness. I am a serial O2 Fitness joiner and canceler, but they just opened a new one near me and I’m giving it a try again! Stay tuned. I’m hoping with the yoga studio, cycle studio, group fitness classes AND regular gym equipment, I’ll have a great variety and I won’t feel stuck. A few quick, actually easy, and delicious healthy recipes I made for dinner this week: Lemon garlic crockpot chicken, shrimp fajitas, and Italian chicken tenders (no recipe here; I just drizzle chicken tenders with olive oil + balsamic vinegar and a packet of Italian seasoning. Bake at 375 for about 25-30 minutes. YUM). Hoping to try this delicious and easy beef & broccoli recipe next week! 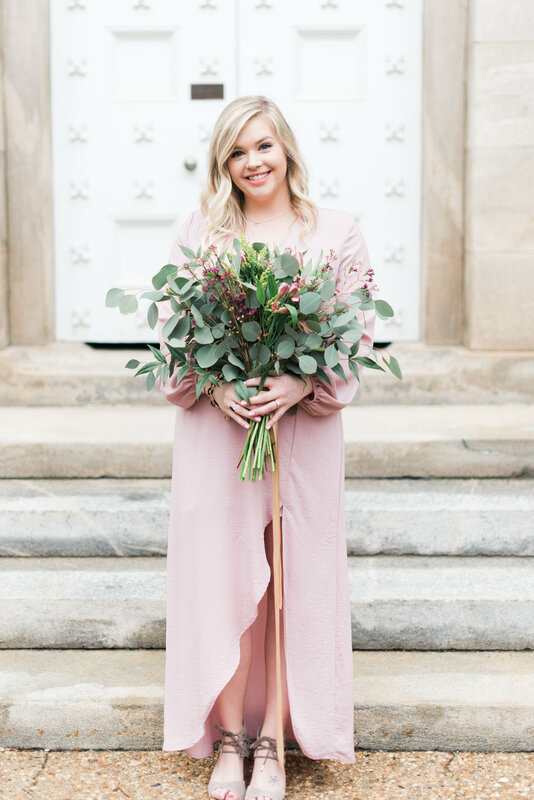 This weekend, my mom and I are hosting Whitney’s bridal luncheon for a brunch and I am SO excited to get to celebrate her! In ONE WEEK she will be getting married! So weird and real! I can’t wait to stand by her side while she marries the love of her life. Enjoy the weekend – maybe warmer weather is f i n a l l y here to stay? !